Keith McCurdy, aka Bang Bang, has tattooed almost all of our favorite celebrities, including Selena Gomez, Demi Lovato, Hailey Baldwin, Justin Bieber, Rihanna, Miley Cyrus, and more. And now, the celebrity tattoo artist has opened up to Page Six about Selena and Demi’s recent struggles. 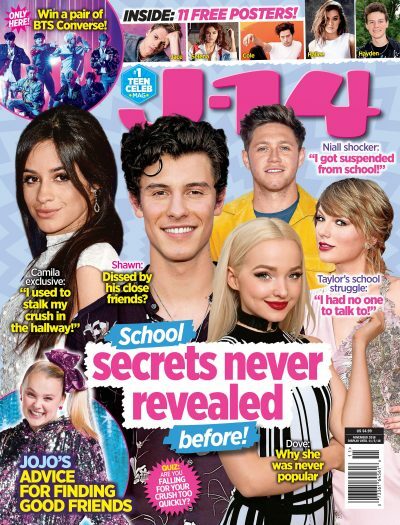 As J-14 readers know, the “Bad Liar” singer has taken a break from Hollywood to receive treatment at an East Coast psychiatric facility. “Right before I heard [Selena’s] taking some time to work on her mental health, I talked to her,” McCurdy revealed. “She was going to come in and get tattoos with a couple of friends and she seemed in great spirits. She sent me a video describing what she wanted to get.” But in the end, “Our schedules didn’t match, so we didn’t do it… We have a working relationship, so I do respect the boundaries,” he explained. The 26-year-old’s BFF Demi Lovato also took a step out of the limelight and checked into rehab after a dangerous drug overdose three months ago. Although Demi’s overdose was scary, the 26-year-old seems to be doing okay now, as she was spotted on Saturday night back in LA looking strong, confident and happy. Bang Bang also recently gave Justin Bieber and Hailey Baldwin new, matching body art. “They each got a tattoo, Justin’s tattoo is on his face,” he explained. “I haven’t seen any photos of it — so he’s doing a good job of laying low. It’s really thin and delicate. And [it’s] also not a traditional couples’ tattoo. I don’t want to give away what it is until press gets a hold of it.” Fans believe it to be the word “Grace” written in script above his right eyebrow. We can’t wait to see what future designs Selena, Demi, and Justin decide to add to their big repertoire of ink!